Leica have released new color variations for three established Leica M lenses: the Leica APO-Summicron-M 50 f/2 ASPH., Leica Summilux-M 28 f/1.4 ASPH. and the Leica Summaron-M 28 f/5.6. Leica Camera today unveils limited availability of new color variations for three established Leica M lenses: the Leica APO-Summicron-M 50 f/2 ASPH., Leica Summilux-M 28 f/1.4 ASPH. and the Leica Summaron-M 28 f/5.6. 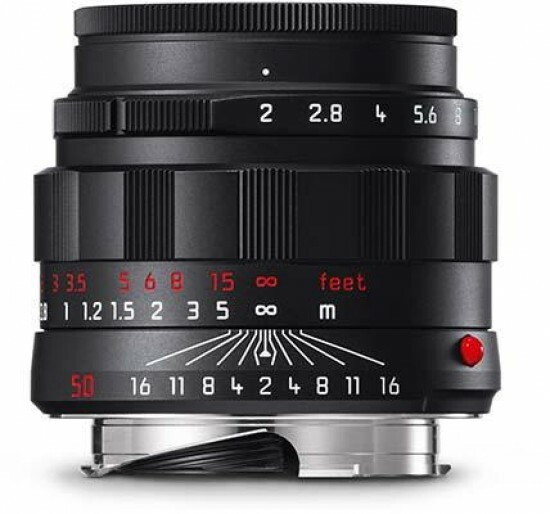 Already available in silver and black, the Leica APO-Summicron-M 50 f/2 ASPH. will now also come in a striking black chrome finish, offering a blend of a new elegant look with classic styling. The outer parts of the lens are made of solid brass, featuring a scalloped focusing ring, matching the iconic handling and feel of the Summicron 50 mm f/2 (II) from 1956. The lens will be available starting February 21st and is priced at $9,595 with only 700 pieces being sold worldwide. Currently only available in black, the Leica Summilux-M 28 f/1.4 ASPH is now also available in a new silver anodized finish to elegantly match current and classic silver Leica M cameras. The lens will be available starting February 28th priced at $6,995 with only 300 pieces available worldwide. Last but not least, the Leica Summaron-M 28 f/5.6 is now available with a stunning matte black finish, giving the vintage reissue lens a new modern stealthy look. Priced at $2,995 the lens will be available starting February 28th and limited to 500 pieces worldwide. Leica M-lenses have a world-renowned reputation for amazing sharpness with a signature image aesthetic oftentimes referred to as the elusive “Leica Look”. The new Leica APO-Summicron-M 50 f/2 ASPH., black chrome finish will be available starting February 21st, the Leica Summilux-M 28 f/1.4 ASPH., silver anodized finish and the Leica Summaron-M 28 f/5.6, matte black paint finish starting February 28th.